This December, look no further than Westfield Old Orchard (Skokie Blvd. & Old Orchard Rd. ; 847-673-6800) as your shopping, entertainment and overall spectacular holiday destination. The center has programming and gift ideas for all ages. Westfield Old Orchard underwent its biggest holiday transformation yet, called Magical Moments. Oversized ornaments and 3 larger-than-life trees were setup throughout the shopping center to embrace the holiday spirit. The largest tree measures a towering 36 feet featuring a walk-through component including a touch screen interactive ornament, a wall of silver mirrored spheres, family photo booth and a light show display which runs every 30 minutes. To formally launch the holiday season, Westfield Old Orchard is holding a Tree Lighting Ceremony, 5:30 p.m. to 7:00 p.m. December 1. The night’s events will include an official tree lighting with NBC’s very own LeeAnn Trotter guest hosting and a special appearance by Skokie Village Mayor George Van Dusen. Additionally, those who attend this special event will have a chance to enter to win 4 tickets to see the North Shore Center’s Saturday December 15 production of The Nutcracker. There also will be sweet treats, warm beverages, retailer discounts and an opportunity to snap a family photo with Santa and his merry elves. Courtesy of partners the Museum of Science and Industry, you can meet Snoopy and Charlie Brown too! Westfield Old Orchard also is offering a special gift with purchase during the event. Shoppers can receive a general admission ticket to Charlie Brown and the Great Exhibit (valid through February 18, 2013). Other promotions include complimentary goodie bags given to the first 250 people and the chance to receive a $10 Westfield gift card with a $250 purchase (see concierge for details). Westfield Old Orchard’s Wfamily event series is back yet again, striving to help introduce children to learning through literature and creativity. This month’s event, Celebrate the Holidays, is held at Barnes and Nobles’ lower level, 11:30 a.m. to 12:30 p.m. December 1. Kids are invited to explore their imaginations during story time with the Skokie Public Library and get creative, with a make-it-and take-it craft. The free hour-long event is open to pre-school age children with no registration necessary. Children are required to be accompanied by an adult. During this special holiday season of giving, Westfield Old Orchard has partnered with ten local non-profits to give back to those who may be in need. The participating organizations have decorated trees, which are displayed near Macy’s on the north end of the center. Throughout this holiday shopping season, join Westfield in the spirit of giving by voting for your favorite. Participating non-profits include the American Cancer Society, the ALS Association, Make it Better, Alzheimer's Association, A Special Wish Foundation, North Shore United Way, Museum of Science and Industry, Friends of Chicago Animal Care and Control, the Kindness Connection and Center for Independent Futures. To vote, retrieve your gold voting coin from the nearby machine and place it in the non-profits designated box. The winning decorated tree’s organization will be announced on the Westfield Old Orchard Facebook page and will receive a $1,500 donation from Westfield. Also during the holiday season, Westfield will host a special Holiday Hunt. Customers will search for ornaments placed on the windows of a select group of Westfield Old Orchard retailers. To claim your "found" ornaments, customers are being asked to take photos with their smart phones. Only 5 ornaments need to be found to secure your limited edition Westfield holiday ornament redeemable at the concierge center. 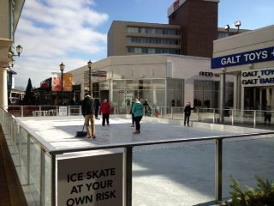 For a truly winter wonderland experience, Westfield has opened an ice skating rink. The Ice rink is housed near Bloomingdales priced by the hour at $12 per person including skate rental or $10 per person if you bring your own personal skates. Hours are noon to 9:30 p.m. Monday through Friday, 10 a.m. to 9:30 p.m. Saturday and 11 a.m. to 7 p.m. Sunday. 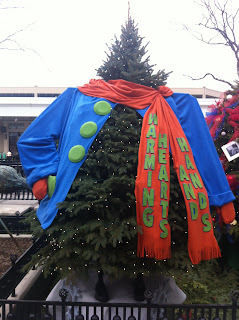 Holiday hours may be extended, visit westfield.com/oldorchard for details. Westfield Old Orchard is offering a Love to Gift Sweepstakes for a chance to win $1,000 to spend on gifts for loved ones. Visit the Westfield Old Orchard Facebook page to register. In a partnership with Westfield Old Orchard, local students from nearby New Trier High School have built and installed holiday displays at the shopping center to be shown through December 31. To see the displays, representing the shopping center's multitude of retailers, visit the best of home featured at Barnes and Noble, the food display in front of William Sonoma and the fashion showcase housed at the Concierge Center, symbolizing months of hard work by the students. The New Trier Holiday Showcase is the culmination of a business school partnership which began in the schoolroom during the fall semester. 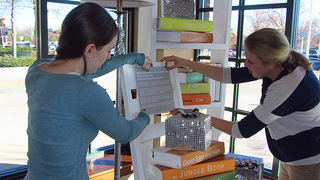 Fashion Marketing and Merchandising students took part in a visual merchandising workshop led by Oak Street Design. The students gained insider knowledge and hands-on experience essential to improve their craft. Westfield Old Orchcard has launched a Facebook promotion where you can instantly win certificates for prizes this holiday season. So if you were among the millions of people who missed out in yesterday's big Powerball win - who wasn't? - here’s your chance to take home some shopping prizes from Westfield Old Orchard stores. By simply entering your email to spin their prize wheel on the Westfield Old Orchard Facebook fan page, you will have the chance to receive percentages off shopping purchases as well as gifts and prizes from stores like Auntie Anne’s, Cinnabon/Carvel Ice Cream, Frontera Fresco, Macy’s Marketplace Foods, Seattle’s Best Coffee, Mrs. Fields/TCBY, Noodles & Company, Galt Toys & Galt Baby, Francesca’s Collection, Sephora, Swim ‘n Sport, Subway, Lush, Aveda, and Wilde & Greene. 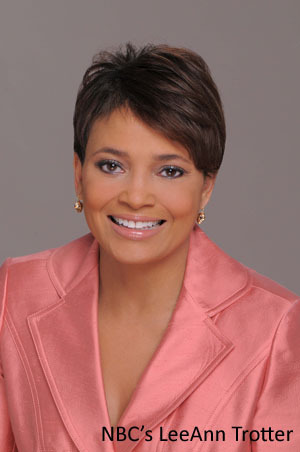 Check it out and while visiting the page, please "Like" them if you haven't already done so. Prairie Grass Cafe (601 Skokie Blvd., Northbrook, IL 60062; 847-205-4433) will be hosting the Prairie State Winery Dinner at 6:30 p.m. on Tuesday, December 4. The gourmet dinner, presented by Evanston Cellars and the Midwest Wine Press, features local winemaker Rick Mamoser, owner and winemaker of the Prairie State Winery. The cost is $85 per person, all inclusive. Reservations are required; please call Evanston Cellars at (847) 864-0199 to make reservations. Reservations can also be made online at EventBrite. Prairie Grass Cafe chef and co-owner, Sarah Stegner attributes much of her success to her philosophy of using fine dining cooking techniques to produce approachable, casual food. Quality ingredients are most important as evident in her efforts in co-founding Green City Market and supporting local sustainable farms. Sarah brings that philosophy to Prairie Grass Cafe and along with chef and co-owner, George Bumbaris, has prepared a four course dinner menu presented with pairings from Prairie State Winery based in Genoa, IL. The appetizer course will be served family-style and offer guests assorted appetizers including Mushroom flatbread, squash tempura, and Brussel Sprouts with bacon and parmesan. This first course will be paired with a 2010 white sparkling wine made in a semi-dry Riesling style with grapes grown in Illinois. The second course will consist of Lake Superior Whitefish prepared with delicate squash puré, River Valley Ranch Portobello mushroom and petite greens paired with a 2011 Rose made from the Frontenac grape, a mainstay of the Midwest wine industry known for its light body and crisp acidity. For the main course, diners will be served homemade lamb sausage with local beans and braised lamb, served with sautéed Nichols farm potatoes, parsnips, crisp shallots and rainbow chard. The main course will be paired with a barrel-aged 2010 Cabernet Franc made from grapes sourced from the Two Oaks Vineyard in southern Illinois. The dessert course will offer Capriole Farm Fresh Goat Cheese drizzled with honey and apple jam paired with a 2009 Port made from the Marechal Foch grape and which combines both the ruby and tawny styles. Coffee and tea also will be served. Prairie Grass Cafe supports Chicago's Green City Market and local sustainable farms, selecting the freshest ingredients to reflect the season. For more information or to make a reservation, please call (847) 205-4433 or visit prairiegrasscafe.com. 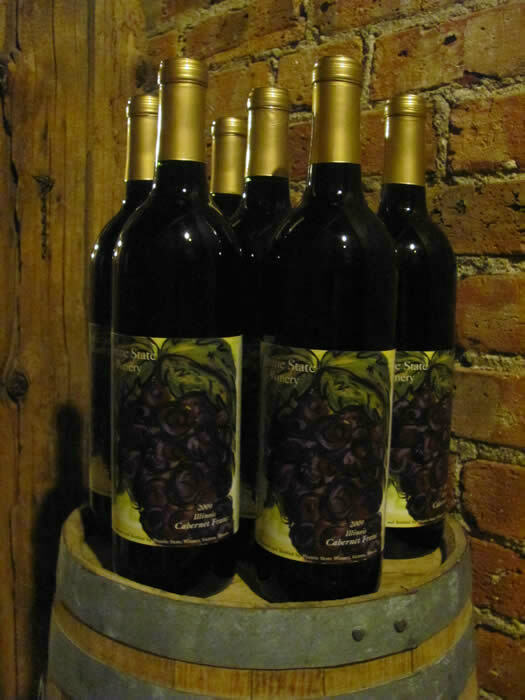 Founded in 1999 and located in Genoa, Illinois, the Prairie State Winery produces award-winning wines made exclusively from Illinois grown grapes. With the first vintage of only 500 gallons to the most recent vintages of nearly 13,000 gallons, owners Rick and Maria Mamoser continue to promote the philosophy of "Think Globally, Drink Locally" by growing and sourcing the finest grapes in the state and crafting their wines with a meticulous palate for detail. 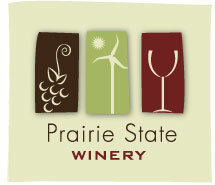 For more information on Prairie State Winery call (815) 784-4540 or visit prairiestatewinery.com. Evanston Cellars is a wine and food lifestyle company based in Evanston, Illinois. The company hosts guided tours of wine trails around Chicago, produces wine and food dinners with restaurants committed to sourcing local ingredients, and is a wholesale distributor of wine with a focus on small, artisanal domestic wineries. For more information on Evanston Cellars, call (847) 864-0199 or visit evanstoncellars.com. Midwest Wine Press (MWP) is the first business publication dedicated entirely to the art and business of winemaking in the Midwestern United States. The goal of Midwest Wine Press is to help winery owners, grape growers and cellar masters be more effective and profitable. For more information on the Midwest Wine Press, visit midwestwinepress.com. 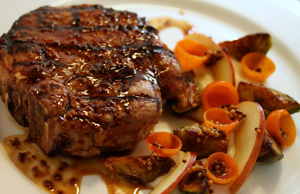 Bistro Voltaire is a relative newcomer to the Chicago dining scene and yet it has become a favored destination for Chicagoans seeking the romantic, spirited vibe of a French bistro without leaving the Windy City. 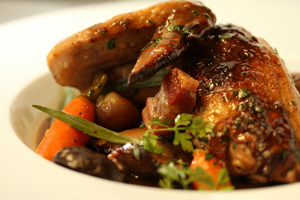 The food is classic and the ambiance is infused with a real Paris feel. "Most commonly, our guests say that entering Bistro Voltaire is like leaving Chicago and finding oneself in France," said owner Ned Boukram, a native of France. "We take this as a great compliment, for that is exactly what we've tried to do with our little restaurant. We think that a world-class city like Chicago needs a little corner where Paris lives-everyone loves Paris." Not surprisingly, the first wave of devotees of Bistro Voltaire (226 W. Chicago Ave., Chicago; 312-265-0911) have been Europeans visiting Chicago and well-traveled Chicagoans who know Paris and are thrilled to find a place where they can relax et se régaler (and have a great meal). 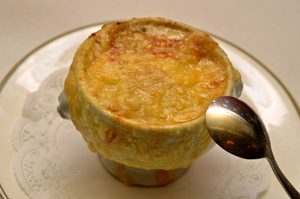 But increasingly, the people who are frequenting Bistro Voltaire are Chicago foodies who want a change of pace from the fusion cuisine of most upscale restaurants and want to enjoy good traditional French food in its purer form because, quite simply, it is delicious and satisfying. In keeping with the bistro sensibility, the prices are very reasonable. 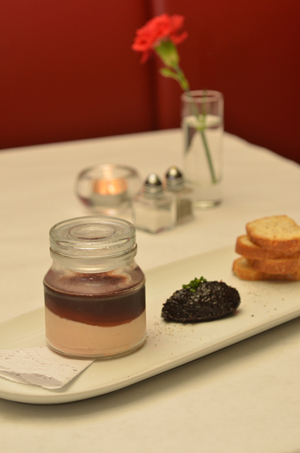 Entering Bistro Voltaire, one is struck by the authenticity of the straightforward French bistro atmosphere. This is no theme restaurant; it's a cozy and comfortable gathering spot that transports one to les rues des Paris. The color tones are traditional red, white and black and the restaurant is furnished with simple tables, banquettes and a nicely-sized bar. A wall mural with a large etching of Voltaire is the only whimsical touch, accompanied by Voltaire's famous quote: "Je m'arrêterais de mourir s'il me venait un bon mot ou une bonne idée (I will stop my death if a good word or a good idea come to my mind). 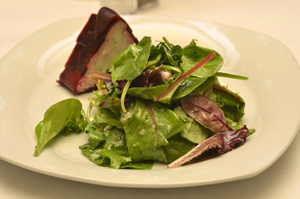 First Courses offer a sampling of some the most beloved small plates in the French bistro tradition. Included are such dishes as the Oeuf en cocotte (sheered egg atop sautéed mushrooms, crème fraiche, porcini truffle mousse), $9; photo left: Foie gras Parfait (foie gras mousse, sour cherry compote, toasted baguette), $14 ; Assiette de Charcuterie (house made paté, air dried sausage, cured ham, gherkins and grainy mustard), $14; Escargots de Bourgogne (braised escargots with garlic herb butter and puff pastry), $11; and Moules (sautéed PEI Mussels, white wine, shallots, herbs), $12. Pasta lovers will enjoy Bistro Voltaire's rendition of Gnocchi a la Parisienne (French style gnocchi, sautéed vegetables, beurre noisette), $18. Poultry selections include Magret de Canard (seared duck breast, organic brown wild rice, red wine braised apples and red cabbage, sweet and sour sauce), $25, and photo left : Ballotine de poulet (roasted stuffed chicken breast, sautéed asparagus, pommes daupines, sherry Dijon sauce), $23. Hearty meat dishes include Carre d'agneau au romarin (roasted rack of lamb, butternut squash, fingerling potatoes, mushrooms, rosemary demi-glace), $ 28; photo below right: Boeuf bourguignon (braised short ribs in a red wine burgundy sauce, pearl onions, carrots, fingerling potatoes, bacon), $25; and the nicely prepared Steak au poivre w/ Pomme Frite (pan seared, 10oz NY Strip, with green peppercorn sauce), $26. There are more than 50 wines on the wine list, a dozen of which are available both by the glass and the bottle. These include sparkling wines such as NV Blanc Brut Claude de Villeneuve, $9 glass /$42 bottle, and NV Albert Bichot Crémant de Bourgogne Rosé (Pinot Noir, Chardonnay, Gamay), $12/$47. White wines by the glass or bottle include 2011 Joseph Cattin (Pinot Blanc from Alsace region), $9/$39, 2010 Le Grand Ballon (Sauvignon Blanc from Loire region), $10/$49; and 2009 Albert Bichot Bourgogne Chardonnay Vielles Vignes (Chardonnay from the Burgundy region), $10/$47; 2010 Barons de Rothschild collection (60% semillion, 40% sauvignon blanc from the Bordeaux region), $9/$40 and 2010 JL Colombo "Les Abeilles" Côtes du Rhône AOC (Clairette, Roussanne from the Rhône region), $10/$46. A Rosé wine available by the glass or bottle is the 2011 JL Colombo "Cape Bleue" Rosé (Clairette, Roussanne), $9/$43. Bistro Voltaire, a classic French bistro owned and operated by Ned Boukram, is located at 226 W. Chicago Ave., Chicago, IL 60610. The restaurant is open for dinner from 5 p.m. to 11 p.m., Monday through Saturday; closed on Sunday. For more information or to make reservations, please contact Bistro Voltaire at (312) 265-0911. 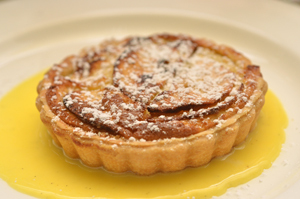 Please also visit the website at www.bistrovoltaire.com. The Chicago French Market (131 N. Clinton, Chicago; 312-575-0306) continues to build on its successful market with the addition of a new vendor. The well-known and widely loved Beavers Coffee and Donuts is set to join the market this December. Beavers Coffee and Donuts will pull into a permanent booth at the Chicago French Market this December; open six days a week from this coveted and central downtown loop location. It will serve its original sugar-dusted donuts and its gourmet donuts, covered with indulgent toppings such as chocolate, strawberry and peanut butter. The coffee, a Cuban blend, also will be available by the cup or (sharable) gallon. Beavers Coffee and Donuts also will make special orders for large groups, office meetings and parties that will be easily arranged with 2 hours’ notice. Beaver Coffee and Donuts has been fueling the city of Chicago with its signature cinnamon sugar-dusted mini donuts, in its easily recognizable food truck since early 2012. The concept is the brain-child of co-owners, James Nuccio and Gabriel Wiesen, and has been winning over the 9-5 work crowd ever since, wooing them with its made-to-order donuts, known for its addictive melt-in-your-mouth quality. 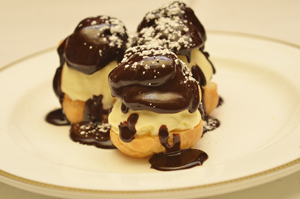 Gabriel stated that he and his partner are very excited to be opening in the Chicago French Market. While the Beavers Coffee and Donuts Truck will continue to roam the streets of Chicago. This new permanent location at the esteemed Chicago French Market means more donuts, more consistently, for Chicagoans; and that's a great thing.